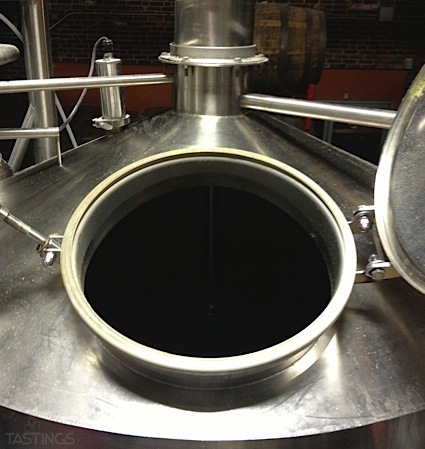 Bottom Line: A fruity and somewhat boozy, malt liquor like amber lager. 88 • Benedetto 2016 Chianti Classico 12.5% (Italy) $5.99. 88 • Bichat NV Brut Rose, Champagne 12% (France) $29.99. 86 • Bichat NV Brut, Champagne 12% (France) $29.99. 83 • Emperador Light Brandy 27.5% (Philippines) $15.99. 89 • Emperador Brandy 40% (Philippines) $14.99. 88 • Fernz 2015 Estate Bottled, Sauvignon Blanc, Marlborough 13% (New Zealand) $12.99. 90 • Tenuta Poggio Ai Mandorli 2013 Gran Selezione, Chianti Classico 13.5% (Italy) $29.99. 84 • Tenuta Poggio Ai Mandorli 2012 Chianti Classico Riserva 13% (Italy) $24.99. 87 • Trambusti 2014 Sentimento Super Tuscan, Toscana IGT 13.5% (Italy) $15.99. 91 • Trambusti 2012 Brunello di Montalcino 14% (Italy) $49.99. 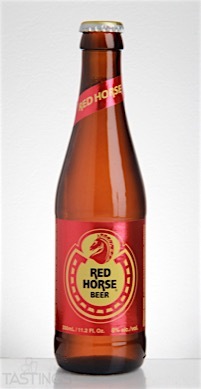 San Miguel Brewery Red Horse rating was calculated by tastings.com to be 86 points out of 100 on 8/27/2016. Please note that MSRP may have changed since the date of our review.